You have joined us many times this year as we have journeyed together “around the world in prayer.” Our hearts are filled with appreciation for your faithful prayers and support that allow us to continue with the outreach of Basic Training Bible Ministries. Your prayers and your giving touch many souls on this big Earth—souls in need of salvation, encouragement, instruction, and truth; souls longing to know our Lord in a deeper and more intimate way, longing to understand the unique plan He has for each one of them. So, from around the world, we share with you our heartfelt thanks for allowing your life to touch theirs. Eternity will tell the whole story and, because we serve a glorious Lord, it will be a glorious story! Please continue to pray for these co-workers as we approach the Christmas Season. They will each be involved in special ministry focused around the birth of Christ as it offers a unique opportunity to share the message of the greatest gift ever given—the indescribable gift of Jesus Christ, given to deliver a fallen world. We had an email this morning from Pastor Schmke in Kenya. Earlier this year, we were blessed to be able to send his congregation Bibles and The Basics books. He asks for prayers for his wife who is due to have a baby soon. If it is a boy, he said they will name him Gene, if a girl, they will name her Nancy. Hmmm, how will you pray?! Laughter aside, pray for safe delivery and a strong and healthy babe who will grow to serve Jesus! By the time this letter reaches your inbox, we will be crossing the ocean once again—this time headed to work with Fassal and Carrie in the country of his birth. Our son-in-law, Daniel, from Cross Road Bible Church in Perth, will be joining us there for two weeks of ministry. Please pray for our safe travels and for effective communication of the Word as we engage in a Pastors’ Conference, Ladies’ Conference, Sunday School Teacher Training, and visits to village churches. May the Lord be glorified and His people encouraged and strengthened by His truth. Thank you so much for the generous outpouring of prayer and financial gifts in response to our recent plea of help for Kurt and Sheri. Through what has been given so far, they have been able to pay off a large chunk of their mortgage. We recently asked for a figure of what was still needed to see the mortgage completely wiped out. Kurt said there were a few other churches and a mission organization that were also putting out pleas for help, so he asked that we wait and see what comes in from them so that people don’t “overgive.” (What a wonderful concern to have!) After the first of the year, we will get back in touch with them and see if the mortgage is still standing and then inform you. In the meantime, please remain in prayer for Kurt and Sheri. As we see 2018 come to a close, we share in prayer the burdens that many of you are now facing with health, family, and financial issues. Be strong in the Lord for He is faithful! Jim Parlier, pioneer missionary to Papua New Guinea. His life was as heroic as it was humble. We, along with the Managalasi people of Oro Province, will miss his presence in our lives. Nadine Bishop, a longtime friend and encourager-extraordinaire whose frequent handmade greeting cards embellished our hearts with smiles and our countertops with glitter. She had such a beautiful soul and a unique way of sharing it with others. John Walker, though John and his wife Rae live far from us in Australia, they joined us multiple times on Israel tours. Travel and experiences always bind hearts together, and we loved John’s courage for life and his love for Jesus Christ. Betty Wollenberg, we were always so encouraged by the joy she found in learning about Jesus, and her cheerful smile. We rejoice in the promotion of these fine saints. Our lives are richer for having known each one of them; we remain in prayer for comfort and strength for their families as they wait for their eternal reunion. I wish our words of thanks to each of you were not limited to a printed page, as you deserve more. We would be happier if it could come in the form of a face-to-face conversation and a warm hug, as we cherish your fellowship, your prayers, your support, and the way you so faithfully join with us in the Great Commission. 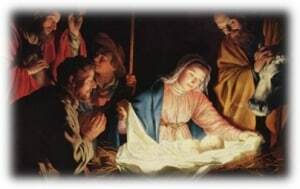 May God richly bless your lives, your Christmas celebrations, and the coming New Year—as only He can do!